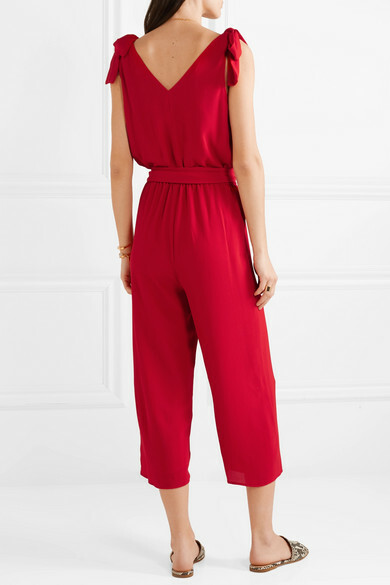 Summer calls for easy, unfussy clothes that require little effort to style and MICHAEL Michael Kors' jumpsuit definitely ticks that box. 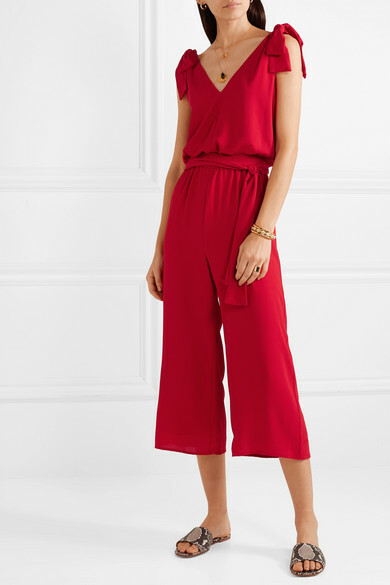 Cut from vibrant scarlet crepe, this relaxed style has cropped hems and an elasticated waist that's both flattering and super comfortable. 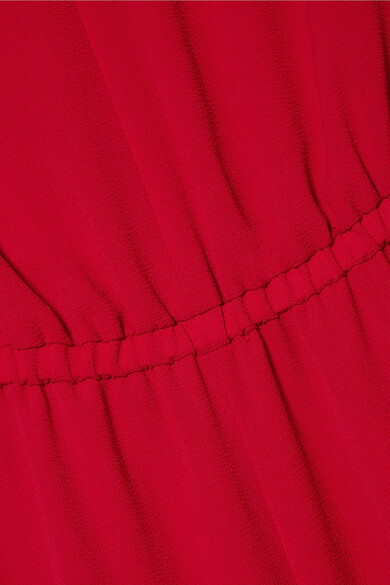 Fasten the ties at the shoulders into flouncy bows and wear it with heels or slides, depending on your plans. 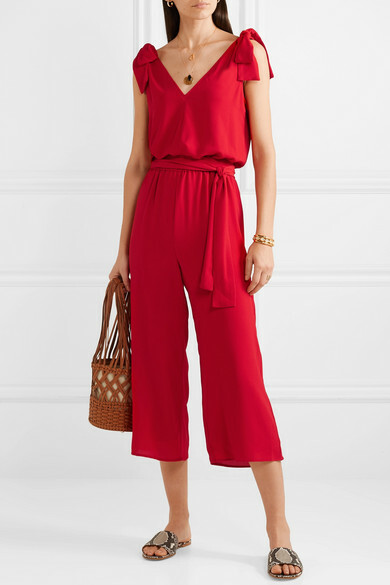 Shown here with: HEREU Tote, Gianvito Rossi Slides, Isabel Marant Earrings, Alighieri Necklace, Isabel Marant Bracelet, Alighieri Necklace, Jennifer Fisher Ring.